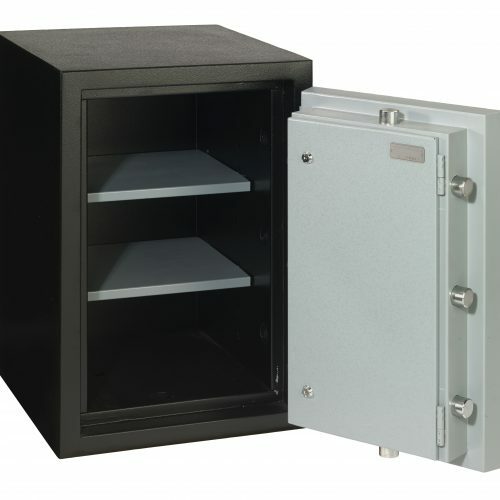 2414 HDX | Accu-Safes Inc.: Accu-Safes Inc.
Burglary Resistant - Reinforced body structure with super alloy manganese plating on strategic drill points. 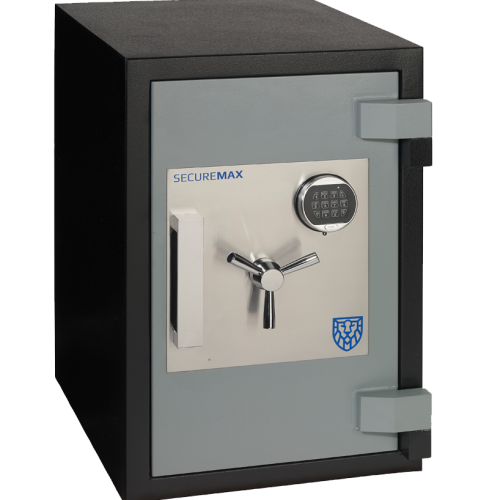 The SecureMax HDX is Solidified with a Composite High Strength Blend of Concrete. Glass Plate Re-Locker - Not One but Two Re-lockers to Protect Your Valuables. Fire Resistant - Withstanding temperatures up to 1850 degrees, the SecureMax HDX carries a manufacturer tested 350 degree. Two Hour Fire Rating. 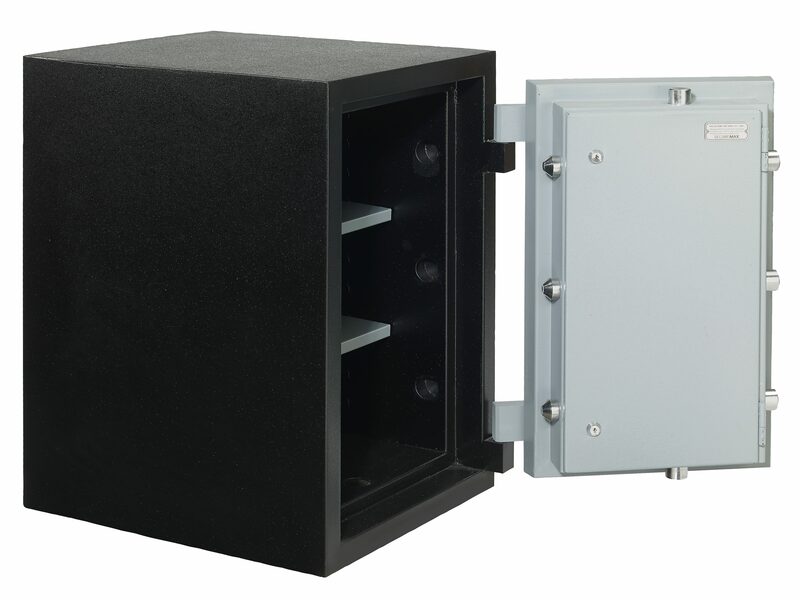 important top and bottom locking steel bolts, a feature hard to find on most home safes. Lock - LG Basic High Security Electronic Keypad comes standard with every SecureMax Safe. Bolt Work - Massive 1.5 inch hardened steel side bolts. Safe Door - Overall Thickness 4.5 inches. Safe Body - Overall thickness 2.5 inches. Door Hardware - Tri-Spoke turn handle. Bolt Down - Safe equipped with anchor holes for installation.